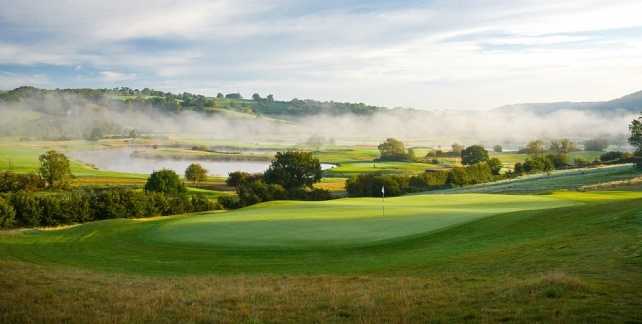 The Celtic Manor-2010 Ryder Cup Course. 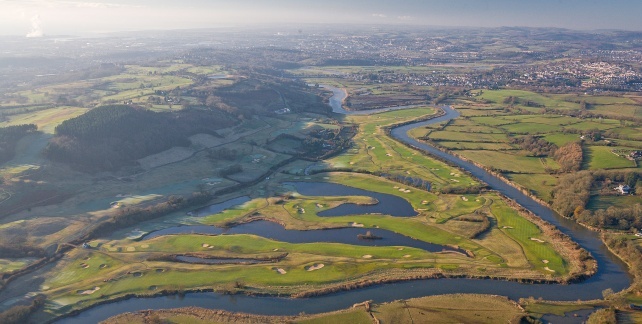 The new course built for staging The Ryder Cup in 2010 opened for play in July 2007. 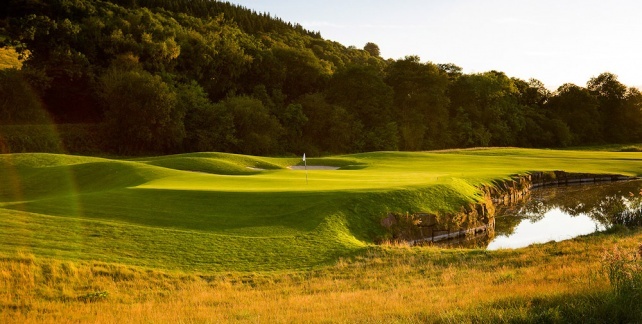 The first course to be built specifically for golfs greatest team tournament, it measures a robust 7,493 yards off the back tees and has a par of 71. 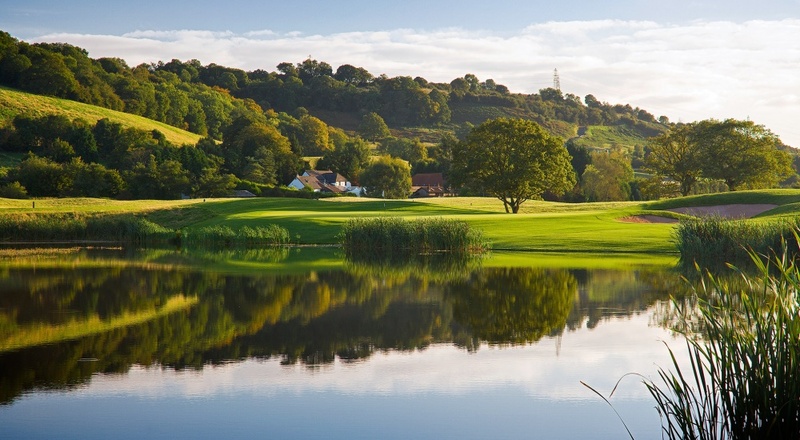 With water hazards on half of its holes, the course has six signature holes and presents many more memorable tests and risk-and-reward dilemmas. 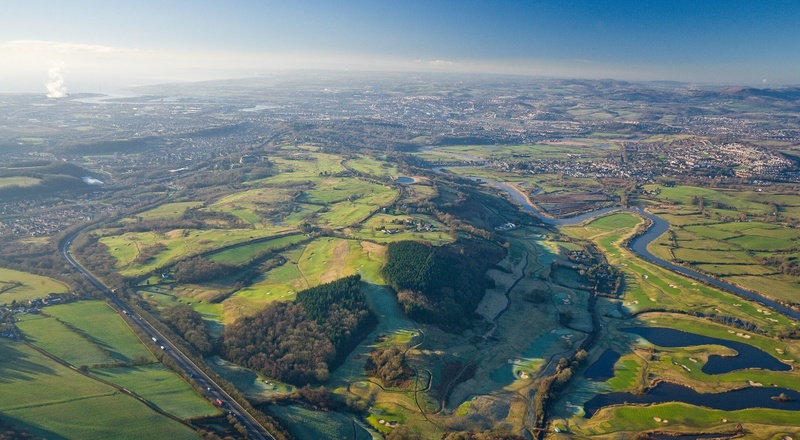 One of the features of the spectacular new course is its variety with many of the earlier holes having a links-like feel with some long rough and greenside swales, before the middle section of the course reveals the full extent of the lake-lined challenge. 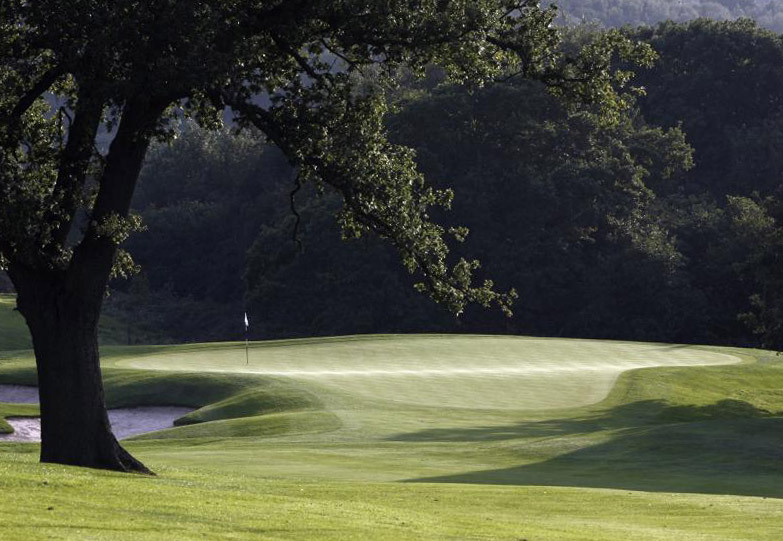 A tough finishing stretch culminates in a real sting in the tail at the 18th. 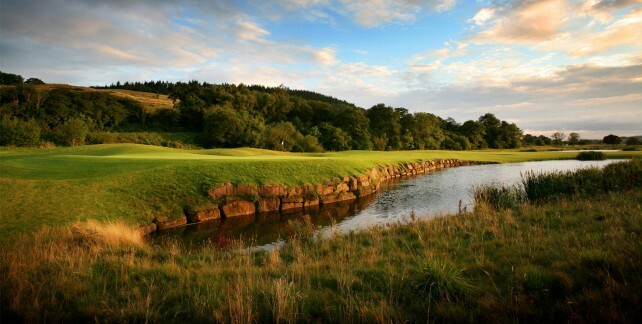 The first course in history specifically designed to host The Ryder Cup. 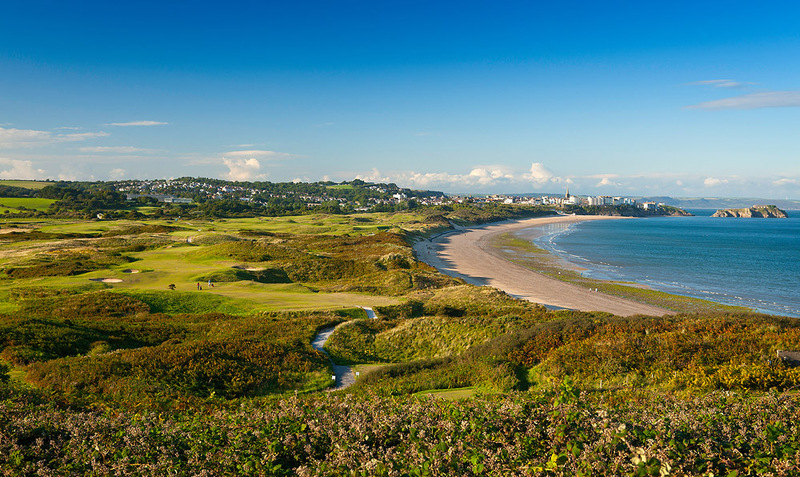 Wales Golf Vacations’ premier golf tour showcases the best golf courses in Wales along with luxurious accommodation. 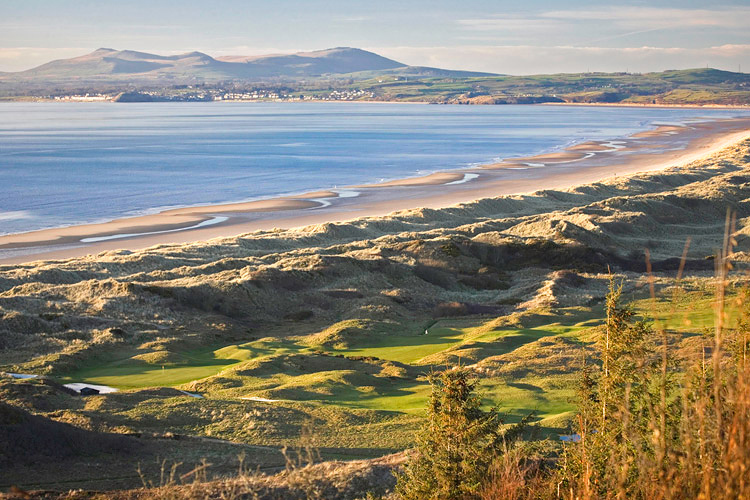 This highly recommended tour starts in scenic North Wales with the stunning backdrop of Snowdonia and then travels down to the Championship courses of South Wales. Plus enjoy the benefits of an experienced driver and luxury vehicle throughout your trip. Don’t delay book today! 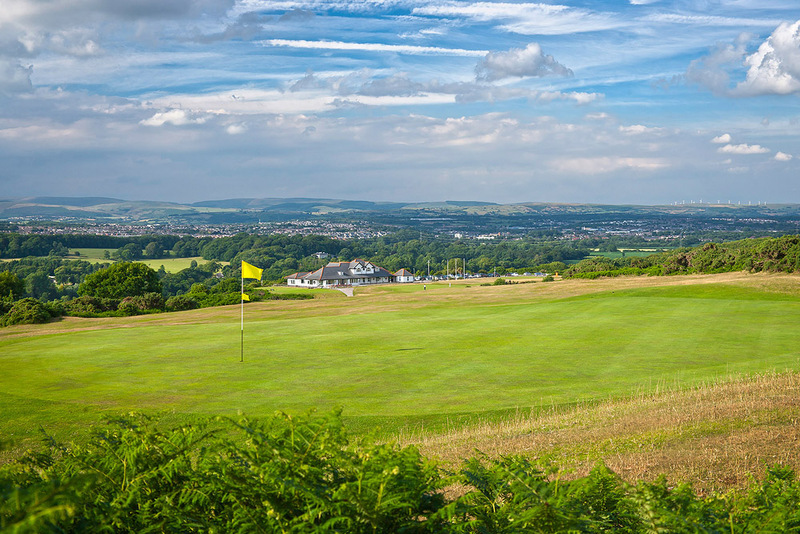 Experience golf as Bernard Darwin did, take the train from Harlech to Aberdovey. 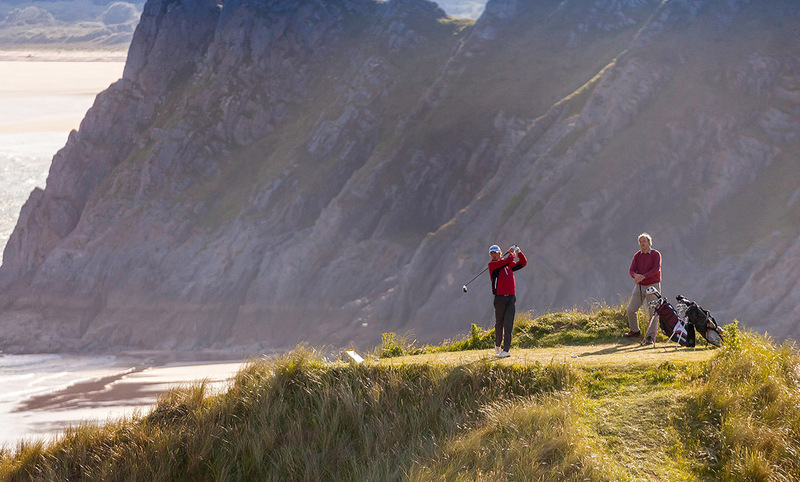 Alight at the first tee equipped with your clubs. 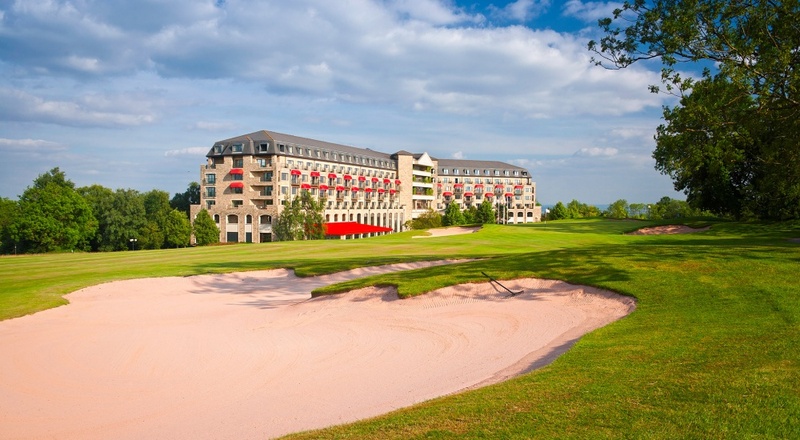 Following your golf, continue South to The Celtic Manor Resort- Venue for the 2010 Ryder Cup Matches. 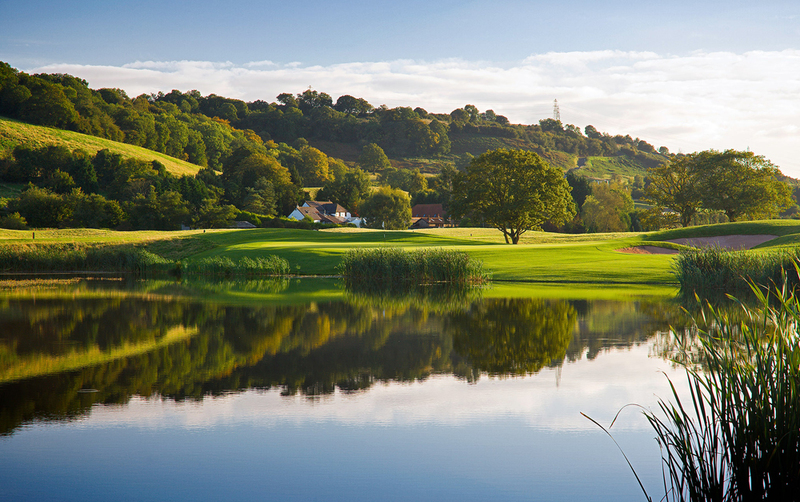 Non Golfer Prices and Car Hire available, please enquire. Prices subject to availability, weekend supplements may apply. 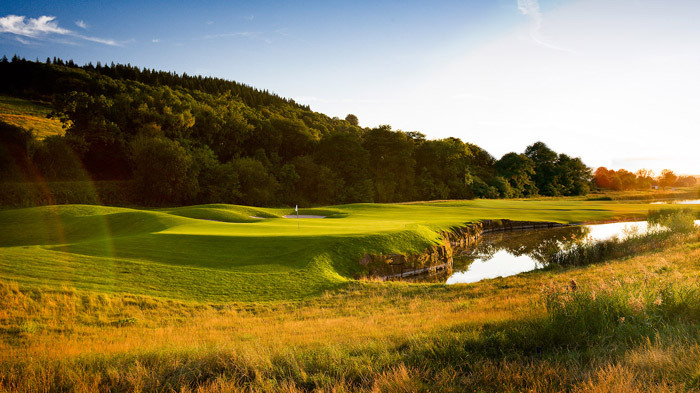 Your chance to combine some classic South Wales links golf with the magnificent Championship Twenty Ten Course at the Celtic Manor Resort. 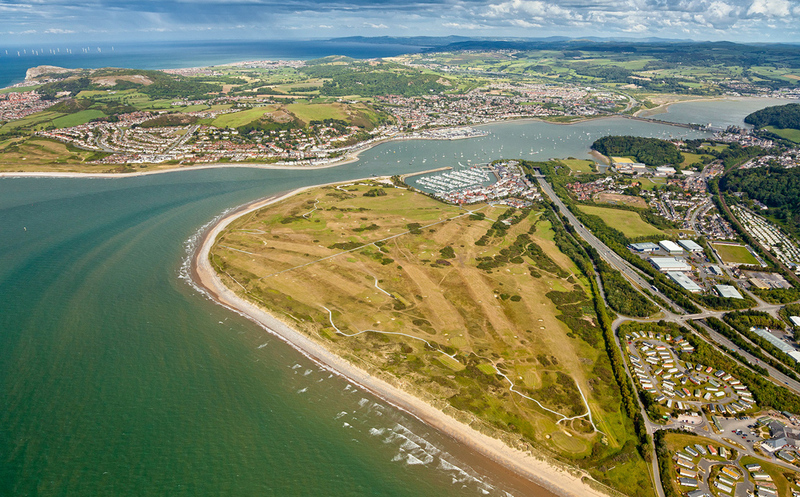 Basing yourself in Swansea there is much to explore, including the Gower Peninsula, which the city is considered the gateway to, was the first area in the United Kingdom to be designated as an Area of Outstanding Natural Beauty. 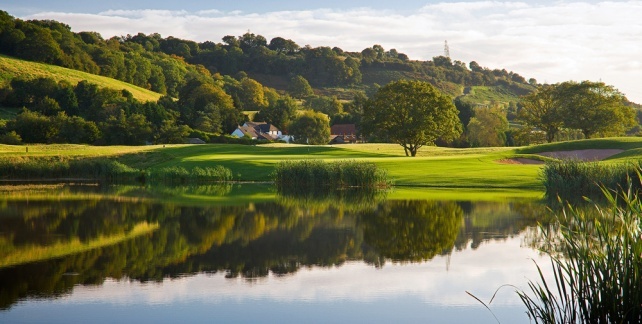 Plus outstanding golf courses all within a stones throw! 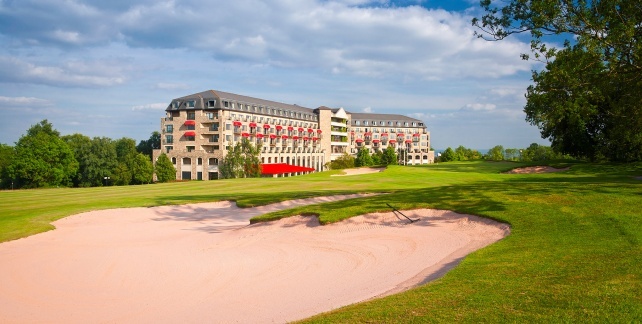 Enjoy a night at the prestigious Celtic Manor Resort at the end of the tour and make use of their award winning facilities. 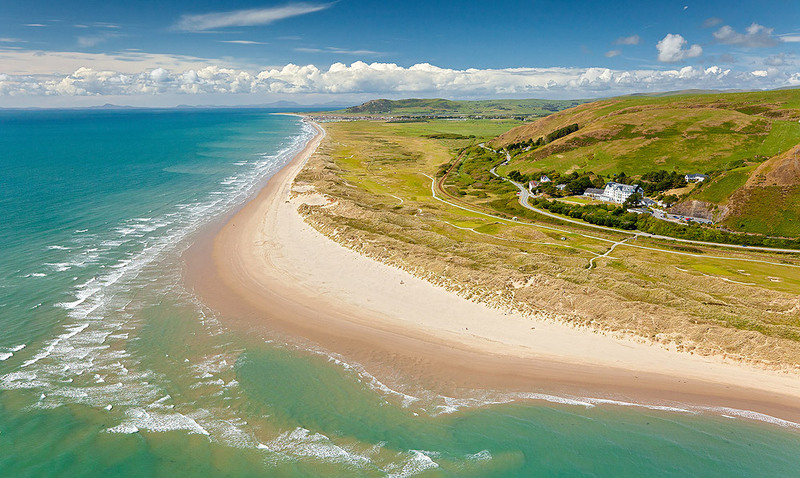 Arrive in Wales and relax following your travel. Welcome drinks reception and briefing of the weeks itinerary with your WGV representative at The Dragon Hotel. 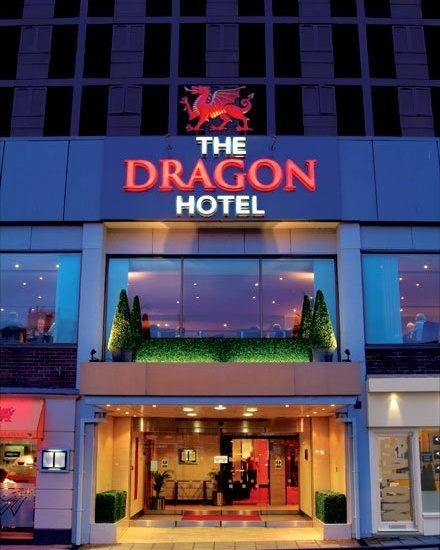 Overnight at the 4* Dragon Hotel, Swansea. Overnight at the Dragon Hotel, Swansea. 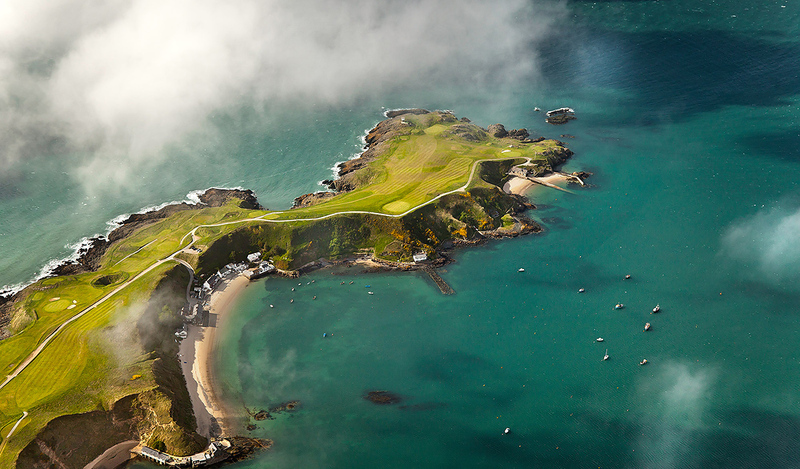 Drive approx 1hr west to the oldest links course in Wales, Tenby Golf Club. 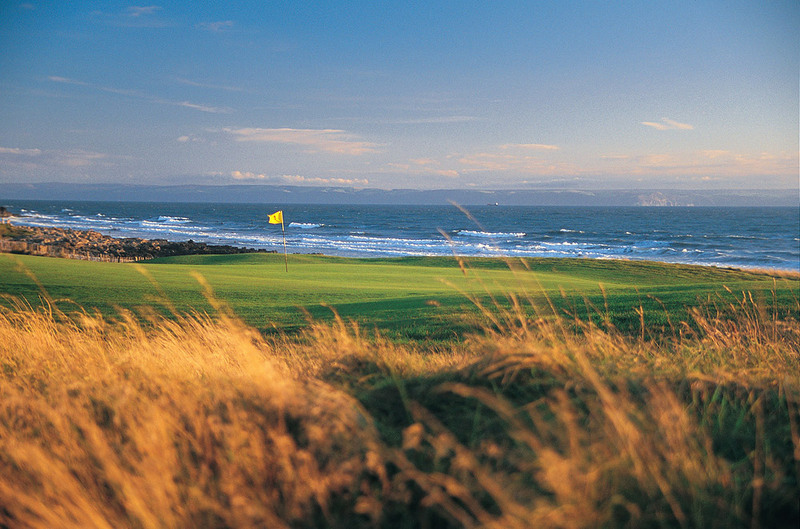 Check out of the Dragon Hotel, and head East to your golf today at Royal Porthcawl – Wales Top Course. 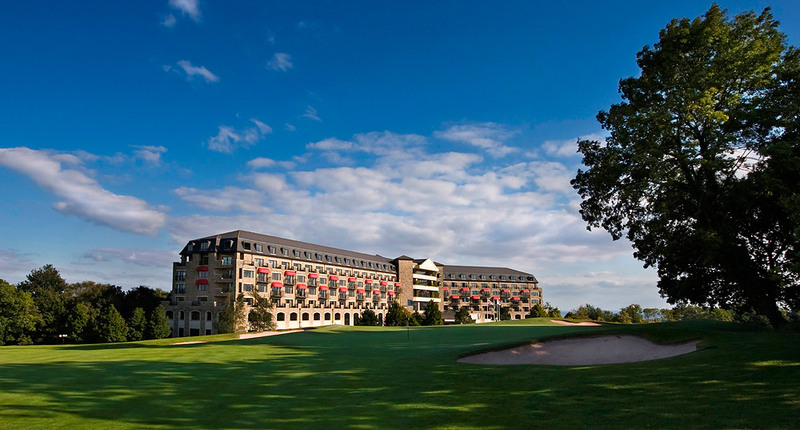 Overnight at the Celtic Manor Resort, Newport. 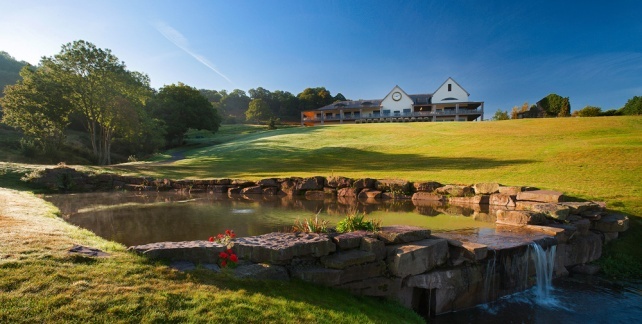 Enjoy a traditional full breakfast before you play the new Twenty Ten Course at the Celtic Manor Resort. Following your golf relax with lunch in the new clubhouse. Subject to availability. Weekend and seasonal supplements apply.